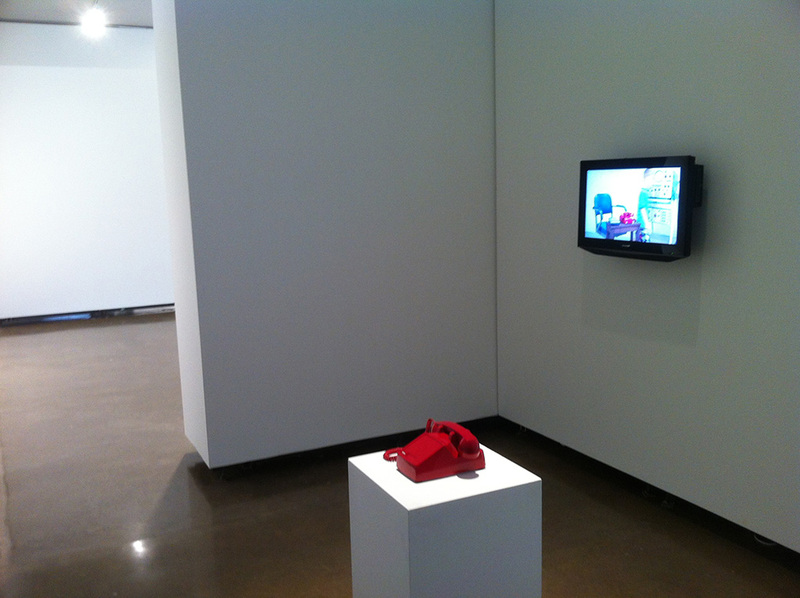 In Hotline, Penrose/Bontrager install a red telephone in a gallery. The phone is alone, solitary, dominating its environment with the connotative trappings of power and authority. Pictured below, the phone rests atop a single white pedestal as it fills the clean white space, begging for interaction. The red phone functions as an automated dialing system that will call The White House switchboard in the United States. The user will not reach the President as the object and placement may suggest, but rather a government switchboard and messaging service — an institutional buffer that keeps the user as distant as possible. Presented with evidence of a previous surveillance engagement between gallery visitors and The White House in the form of transcripts and video (see below) the audience member is presented with the decision whether or not to pick up the unlabeled red phone receiver. Upon picking up the phone, a pre-programmed auto-dialer will connect them to The White House within seconds. 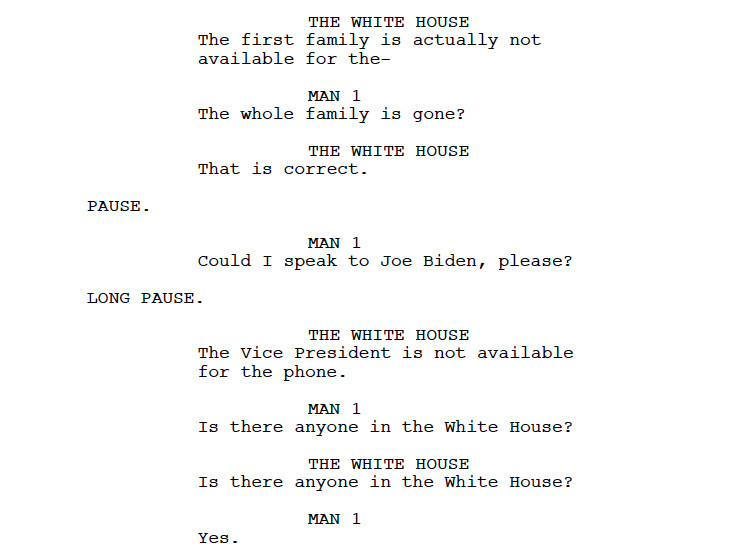 Prompted only with the words, “The White House” by the switchboard operator, the caller, unprepared and surprised, is thrust into a situation where a live government agent is waiting for their response. What will they say in this moment of access to power? Is the situation “real”? All phone calls are recorded for the purpose of further documentation and on-going development of the project. A copy of the script is displayed with the work. 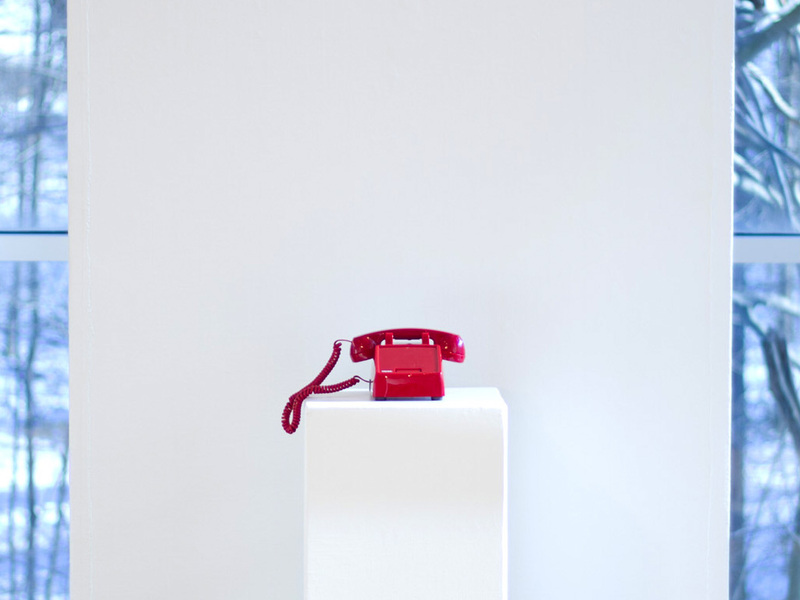 We intend for Hotline to activate a discontinuity between hope and disappointment, promising a kind of connection — a transmission. NMC10 video programme; Chicago Cultural Center; Chicago, Illinois. NMC10 video programme; Sleeth Gallery, West Virginia Wesleyan College; Buckhannon, West Virginia. NMC10 video programme; Llewellyn Gallery, Alfred State College; Alfred, New York. NMC10 video programme; Brick City Gallery, Missouri State University; Springfield, Missouri. Faculty Biennial; Moudy Gallery, Texas Christian University; Fort Worth, Texas. CONFLUX: Intersection of Art & Technology; Pearl Conard Gallery, The Ohio State University; Mansfield, Ohio.